American rock band Pop Evil and country music group Lonestar have been named as the headliners for the 38th Marion Popcorn Festival. Lonestar will take the main stage on Friday, September 7, and the group Pop Evil is set for Saturday, September 8. Both performances begin at 8:30 p.m. and are free to Festival attendees. 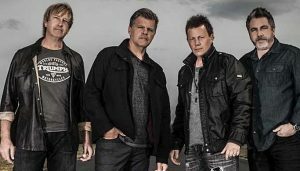 For more than 20 years, Lonestar has logged countless miles touring throughout the world, released several platinum-selling albums and ten No. 1 singles, earned ACM and CMA awards and inspired rave reviews as far away as London. 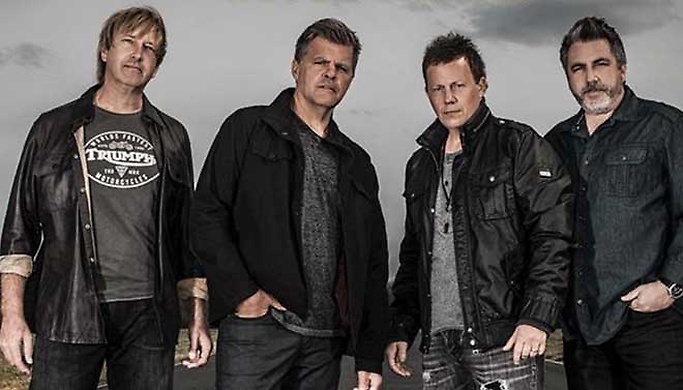 Known for merging their country roots with strong melodies and rich vocals, Lonestar, comprised of Richie McDonald (lead vocals), Michael Britt (lead guitar and backing vocals), Keech Rainwater (drums, and Dean Sams (keyboards and back vocals), has amassed RIAA-certified sales in excess of ten million album units since their national launch in 1995, and achieved ten #1 country hits including “No News,” “Come Crying To Me,” and their crossover smash “Amazed” (which was also #1 on the Billboard Hot 100, the first record since 1983’s “Island in the Stream”, to top both charts). The band’s awards include a 1999 ACM Single of The Year for “Amazed” (the song also won the Song of the Year award), and the 2001 CMA Vocal Group of the Year. With over 100 dates worldwide per year, they are celebrating over 20 years together. Lonestar’s highly anticipated CD, Never Enders, features ten new original Lonestar songs that bring the band’s trademark sound into the contemporary arena. The album was released April 29, 2016. “It’s always a challenge,” says Richie. “But when we’re writing, we always try to stay true to how we’ve done it in the past sonically and lyrically, while still looking to take what we do to new levels.” The exhilarating affirmations of the title track “Never Enders,” the haunting reflection on time lost in “My Own Hometown,” the emotional honesty of “Us,” their playful, grin-teasing riff on modern love in “I Want a Love” and their tribute to all the gorgeous lady bartenders they’ve known on “Boomerang” – each song on Never Enders mixes artful craft and the poetry of plain speech, each melody rings clear and all of it reminds us of how emotionally powerful country music can be. Pop Evil recently announced a brand new single and music video for track called “Waking Lions”, exclusively through VEVO. As previously heard on SiriusXM’s Octane channel, “Waking Lions” is the first bit of music we’re hearing from the band’s 5th studio album. “This is a Dawn of a New Day for Pop Evil,” says Kakaty. “The new lineup feels like a whole new chapter for us. We could not be more proud to lead off this new album cycle with Waking Lions, sending a positive message to our fans.” Pop Evil released Pop Evil, their fifth studio LP on February 16, 2018, via Entertainment One. The new self-titled LP will be the highly anticipated follow up to UP, which debuted at #1 on the Billboard U.S. Independent Albums Chart, #3 on the Billboard Top Hard Rock Albums Chart and #25 on the Billboard Top 200 Chart in the week of its release. UP produced four top 5 singles with “Footsteps,” “If Only For Now,” “Ways to Get High” and “Take it All.” “Footsteps” not only reached #1, but went on to be the longest #1 single of the band’s career. 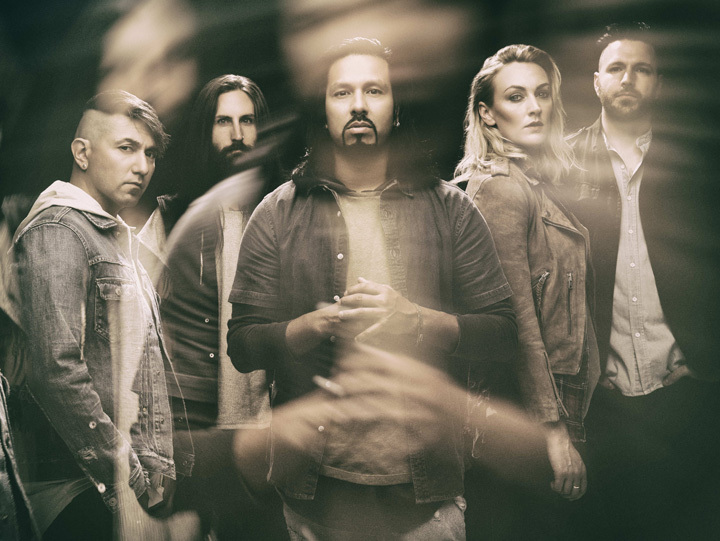 Pop Evil is comprised of Leigh Kakaty (vocalist), Hayley Cramer (drummer), Dave Grahs (guitarist), Matt DiRito (bassist) and Nick Fuelling (guitarist). Stranger brings their Ultimate 80s Tribute to Marion’s Popcorn Festival. The 2018 Marion Popcorn Festival is going “Back to the 80’s” and on Thursday, September 6 they are welcoming The Ultimate 80’s Tribute “Stranger” to the Main Stage at 8:30 pm. 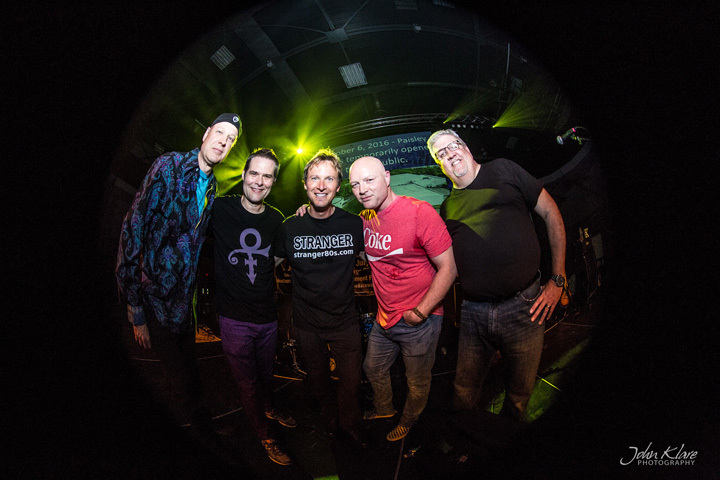 “Stranger” has been bringing their high energy 80’s tribute to Ohio Kentucky and Indiana since 1996 with its all original line-up. Jeff Stevens on vocals, Matt Smith on guitar and vocals, Brian Elias on keyboards and vocals, Bruce Crobolotti on bass, Rob Hoeting on drums and vocals. Stranger’s set list includes hits like Working for the Weekend, Wanted Dead or Alive, Boys of Summer, Sister Christian, Africa, Don’t Stop Believing, Footloose, Blister in the Sun and many other dancing and rocking songs from the 80’s decade. They have opened for Rick Springfield, .38 Special and many other still-touring 80’s acts. Their limited schedule includes some of the biggest festivals in Cincinnati, Columbus, Lexington, Dayton, Ft. Wayne and all points in between. Anywhere baby boomers want a great party, Stranger will appear. Learn more about the band at www.Stranger80s.com and on Facebook. The 2018 dates of the Marion Popcorn Festival are September 6, 7 and 8. All performances on the Festival’s main stage begin at 8:30 p.m. and are free of charge. A limited number of Kernel sponsorship seats are available for any of the main stage performances by calling 740-387-FEST. Other events include the Popcorn Parade with over 300 units, a popcorn cooking contest, a fine art show, crafts, corn hole, a Community Showcase stage, Marion’s Hometown Talent stage, Poppin’ Party stage, and much more. For more information, browse our web site or call 740-387-FEST. The Marion Popcorn Festival is sponsored in part by the City of Marion.